Fall is among us and, to go along with the crisp fall weather, you’ve got to have some warm and cozy food incorporating the seasons’ produce. 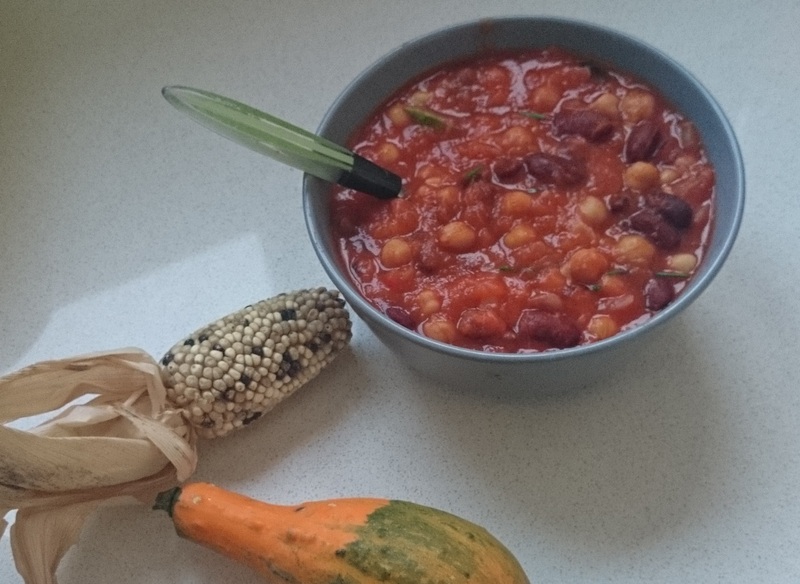 This Pumpkin Chili Recipe is perfect for those evenings when you don’t want to spend a lot of time cooking, or those weekends when you just want to curl up watching movies with a blanket and a warm meal. Recipes like this one are also great because you can make it in bulk and have leftovers for future quick meals or even put it in the freezer for longer storage. 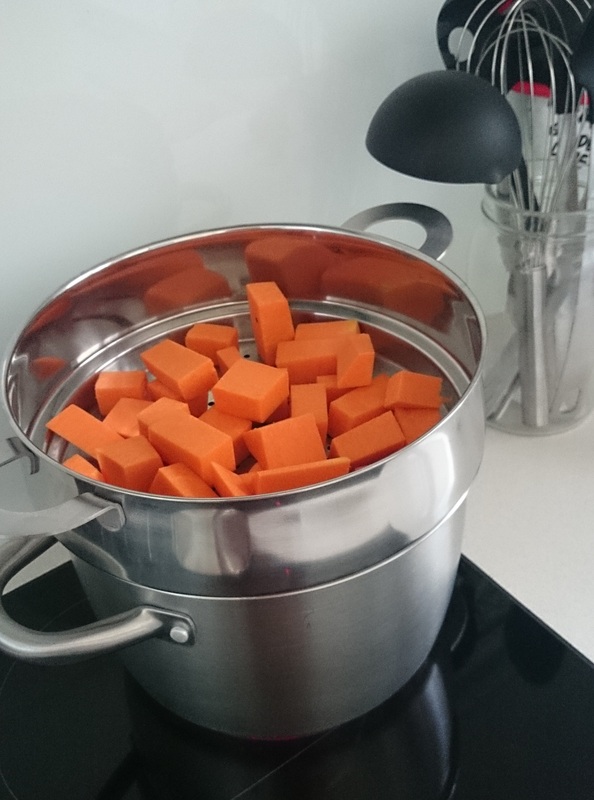 Step 1: *Make homemade pumpkin puree if you cannot find it in the store or prefer to make it fresh. I found raw pumpkin already diced at the store, but if you cannot find it like that you can also bake a whole carved pumpkin at 350°F (180°C) for 60-90 minutes (depending on the size), cut it up and puree it from there. 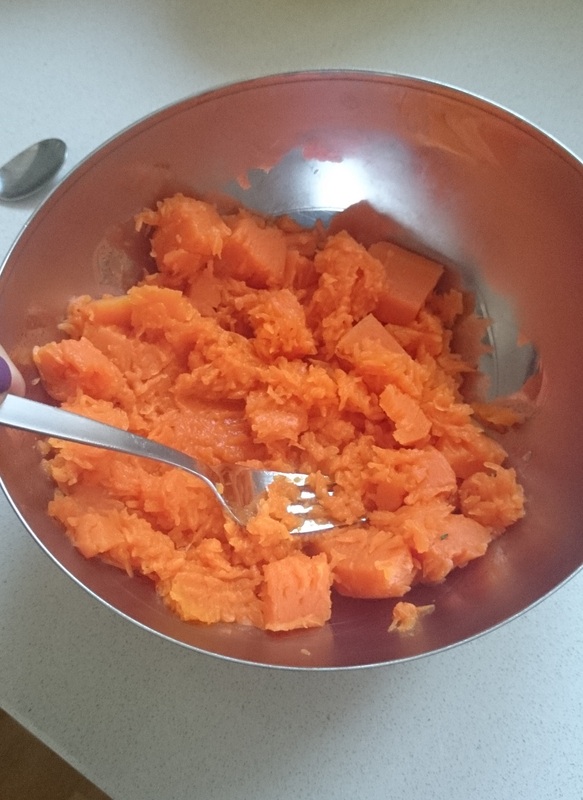 I chose to steam the pumpkin pieces until soft & then mash them in a bowl with a fork. Step 2: Chop up all vegetables. 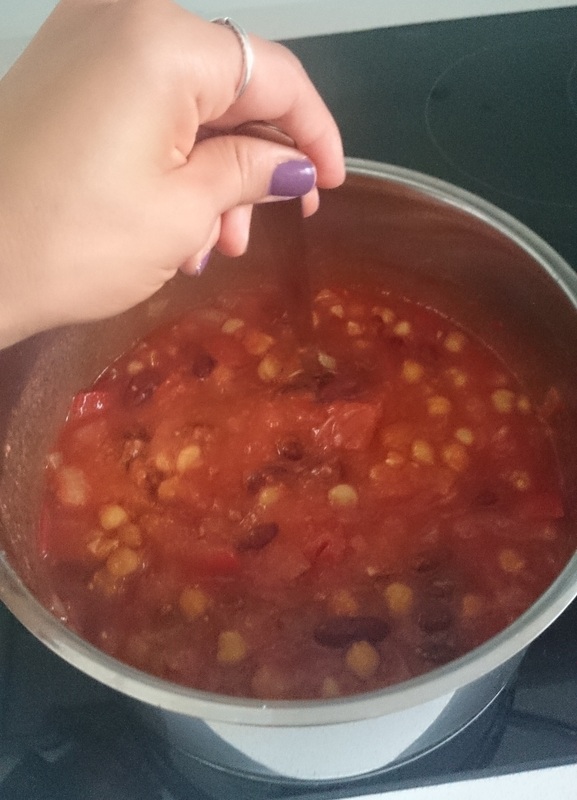 I prefer my chili to be a bit chunkier so I cut my produce into slightly larger pieces, but you can do as you prefer. You will also want to cut up the canned tomatoes if they are whole. (Note: If you are homemaking your pumpkin puree, you can do all of this work while the pumpkin is steaming or baking). 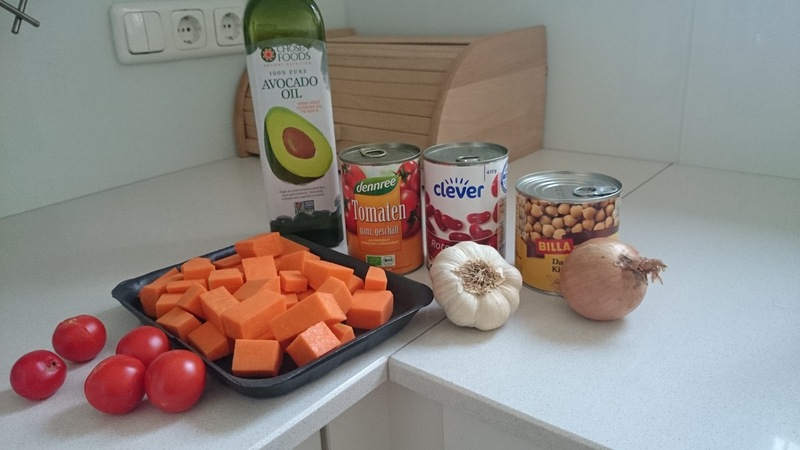 Step 3: In a cooking pot, combine beans, vegetables, garlic, pumpkin, oil, salt & pepper. Stir it up to mix in all of the ingredients. Let the chili cook on low/med until warm. The longer you let it sit, the more flavorful your chili will be. Note: You can always combine all ingredients in a slow cooker to cook all day so it’s ready to eat when you get home from a long day at work. Check your slow cooker manual for the proper cooking time. I find, with my slow cooker, that I can leave chili in there on low for 8-10 hours.